Clinique High Impact Mascara: This came included in a gift with purchase when I bought the Clinique Anti-Blemish System Solution (reviewed here). I was very pleased because I had tried it a little while ago. 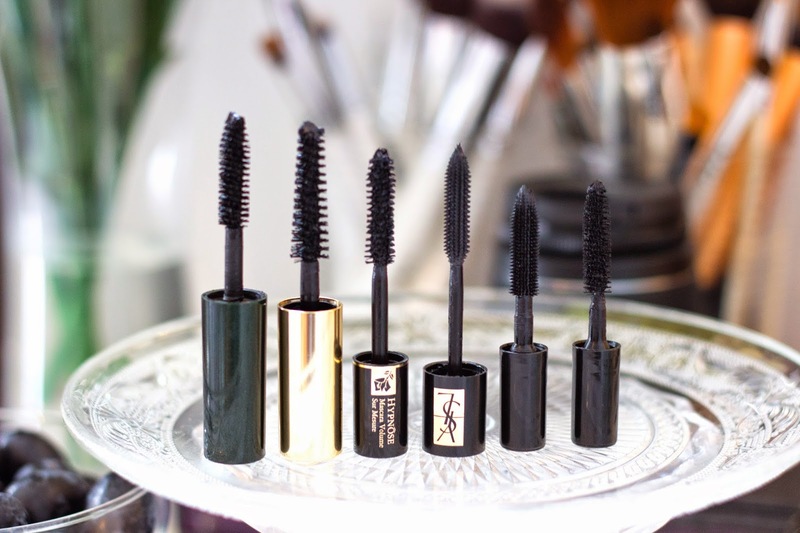 From the name alone you can easily deduce that it would gives the lashes very good length and volume. It "grips" and captures even the tiniest lashes with a few sweeps and makes your lashes look much longer and fuller with minimal clumping which endears it to my heart (and eyes too!). 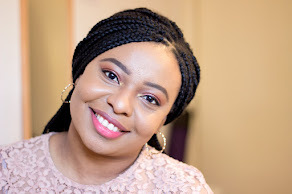 YSL Baby Doll Mascara: This mascara had a very successful launch and campaign and I was really keen to try it but I was not willing to splurge without testing it. This sample came with a free gift with purchase from John Lewis which they were offering during Christmas last year if you bought any two products from either Lancome, Giorgio Armani and YSL. I was a little sceptical about using it because the brushes seems to be designed for volumising and I was not after that but I was so wrong. It is indeed a volumising mascara but with a difference because you get both a good length and volume. The bristles are designed in a way to get right to the bottom of your lashes to ensure that the right amount of mascara coat gets on your lashes without any smudges or clumping. I love this. Estee Lauder Lash Multiplying Mascara: I have no idea why Estee Lauder love really long names for their products..it's a bit tiresome for my lazy fingers to type..lol. I got this along with a free gift with purchase recently which I featured here when I bought the Estee Lauder High Coverage Concealer (reviewed here). I really like the wand of this mascara because it is different from others; it is like a cone shape with its end tapering in a nice way. This design means the tiny lashes can be emphasised along with the normal ones. It is a volumising mascara but it really lengthens the lashes as well. 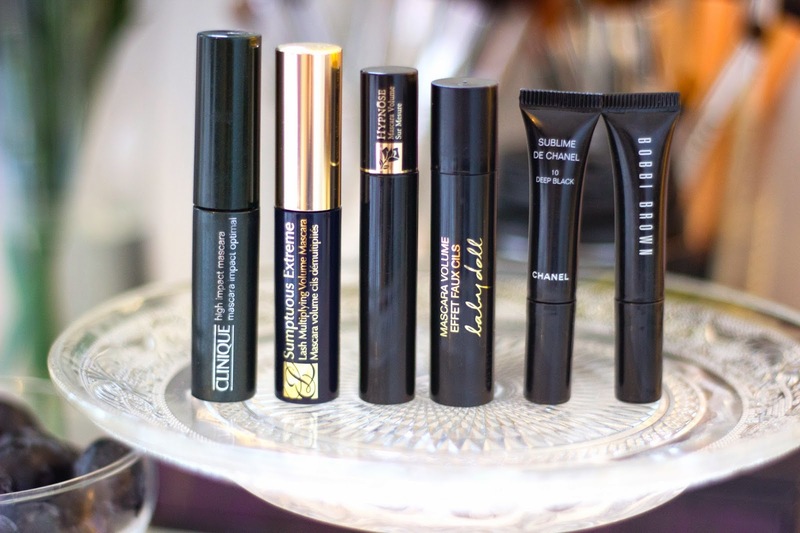 Chanel Sublime De Chanel Mascara: I got this free when I purchased my Chanel Les Beiges Powder (reviewed here). The wand is a little similar to the YSL one but the bristles are more closely placed. This is a very good all rounder. It gives volume, length and separates the lashes so no case of clumping. The shade is deep black so it is really dark which is nice especially if you are going for the smoky look although it is such a pain to remove. I love it still and it is one of my favourites. 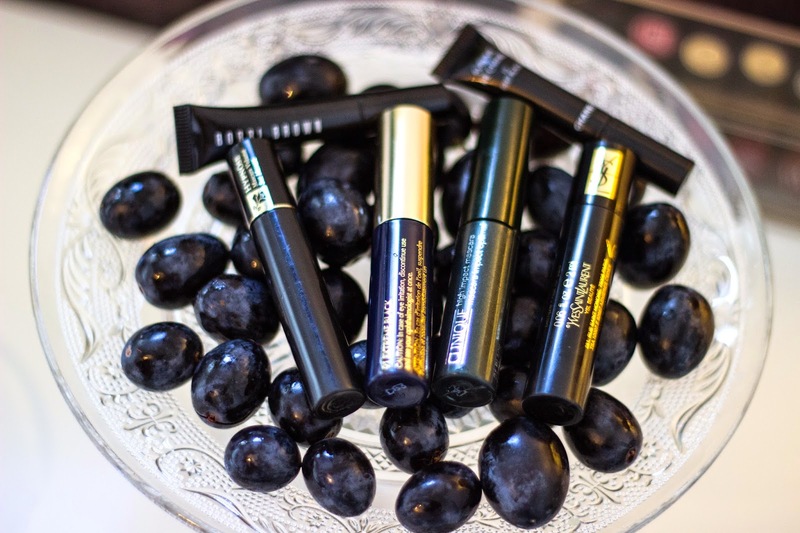 Bobbi Brown Smoky Eye Mascara: Dear Bobbi Brown, I love all your products and they are easy to use but this smoky eye mascara requires too much effort. I really liked this mascara which I got from a lovely colleague at work. It's designed for the smoky eye look as the name implies which is a look I don't really go for often because I have not quite mastered it (someday soon I will). If you love the smoky eye look then I strongly recommend it but I find that it clumps a little which may be my fault; maybe I am not using it the right way. The clumping leads me to rub my eyes (a huge no no especially if you wear contacts) which results in me having huge black "panda" eyes. I love how much volume this mascara gives but it requires careful application from me so it's not one of the ones I reach for easily. Lancome Hypnose Mascara (Volume): I have quite a few of these because Lancome always give it out even if you ask at the counter and they are always included in the Gifts with purchases that they always generously offer. I am on the fence with this one because I feel it is strictly volumising which it indicates on the packaging but the other mascaras listed above also give length as well. I am not saying this does not give you some length but compared to the others, it's not a very good contender. If you have a good length already and you are after volume, welcome to your new BFF as it's worth a try. One thing to note is that this mascara has the tendency to cause clumps and spidery lashes which makes it even more difficult to take off at night....it's not very flattering so you have to know how to work it to get the best use. I just don't have the time to be messing around in the morning with a mascara so we don't get on really well which is sad as Lancome is one of my favourite high end brand. 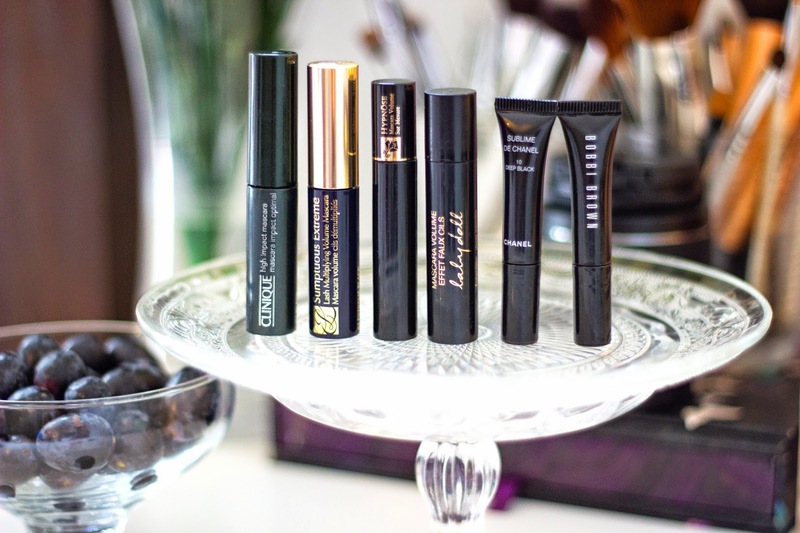 A fantastic review and lowdown on high end mascaras! I have tried a mixture of high end and drugstore brands, but still have yet to find my HG mascara. Elie Saab L'Eau Couture Perfume Review.